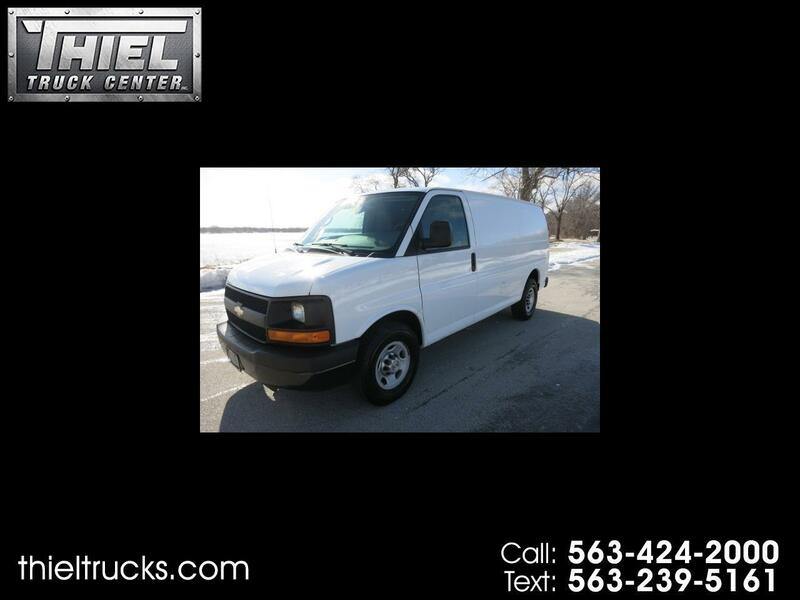 **** 3/4 TON CARGO VAN *** SHELVING PACKAGE **** SUPER NICE **** Just in is this hard to find 2013 Chevrolet 2500 Cargo Van. The van is super clean and very well cared for. Inside you will find a complete shelving package, Slide out bins, Carpeted and lined cargo area, Bulk head divider, and lockable center console with built in USB ports for laptop computers. The Van is also optioned with a full power package and back up camera. Power comes from the 4.8L V8 engine. This Express Cargo van has just 94,000 miles and it is a Carfax Certified 1 owner and 100% Accident free. The van also comes with new tires and service records dating back to when it was new. This van is set up and ready to go to work right now! Do not let it get away. Call or Text us now before it is gone.